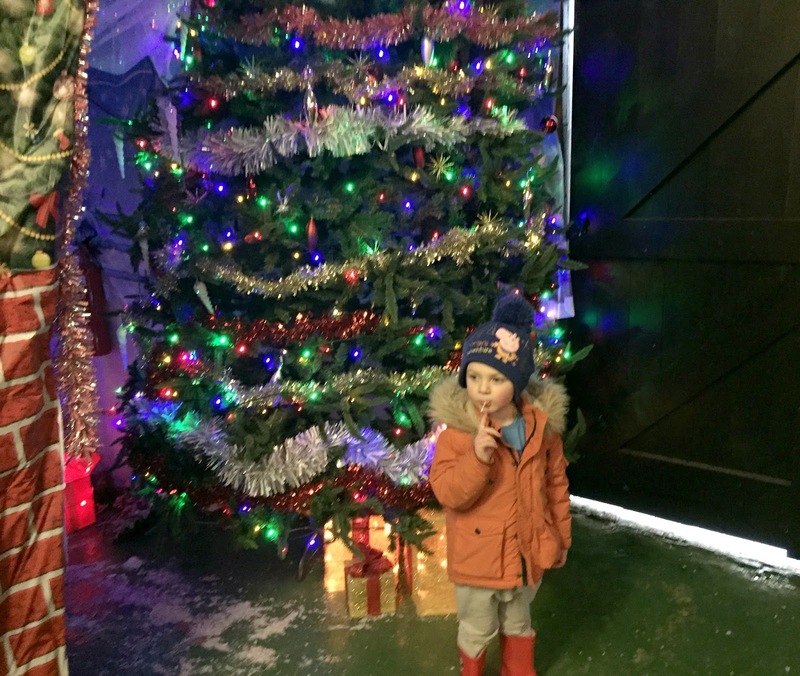 A Farm is not somewhere that I would normally think of visiting at Christmas time, but Whitehouse farm has pulled out all the stops with their Winter Wonderland event. 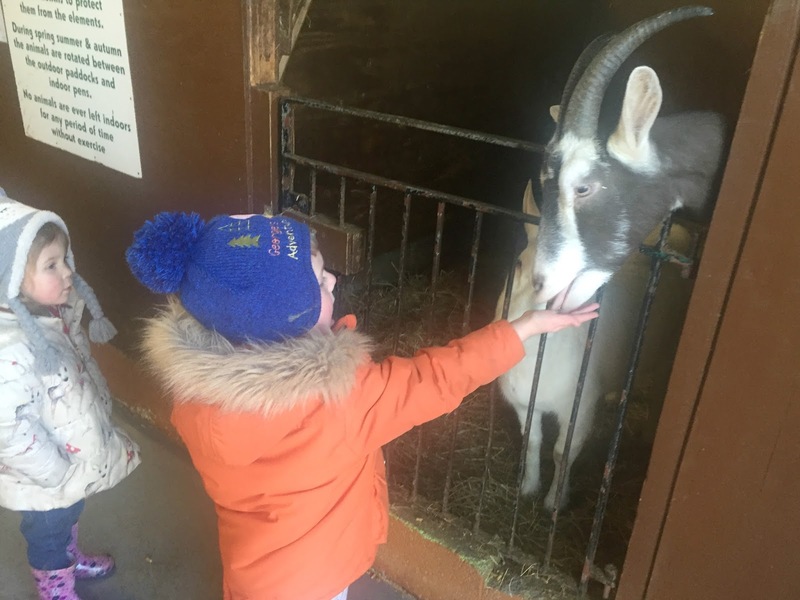 I visited on Friday afternoon with my 3-year-old son and 2-year-old niece and as it was a school day it was fairly quiet at the farm, making it perfect for pre-schoolers. Admission to the Winter Wonderland is included in normal admission price which I think is amazing value and you don't need to pre-book either as you can just turn up on the day. 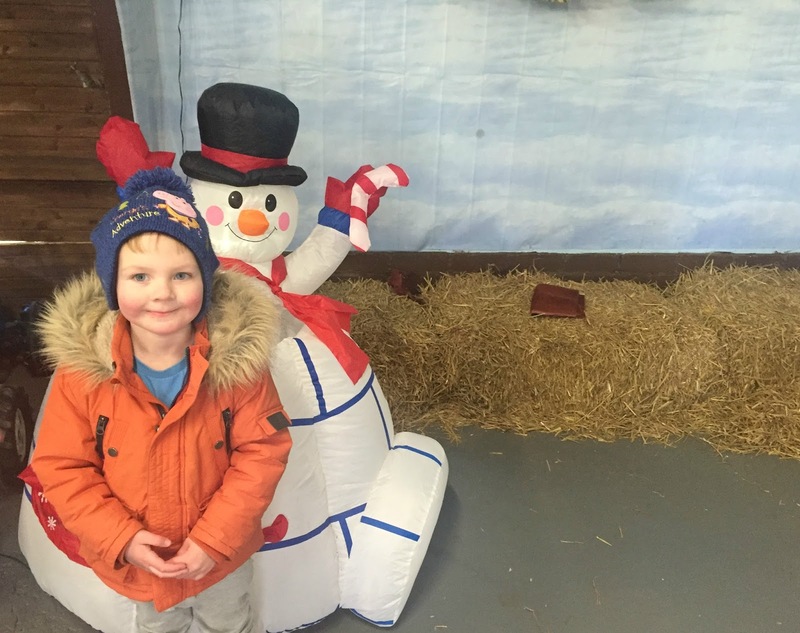 So what is is Whitehouse Farm Winter Wonderland? 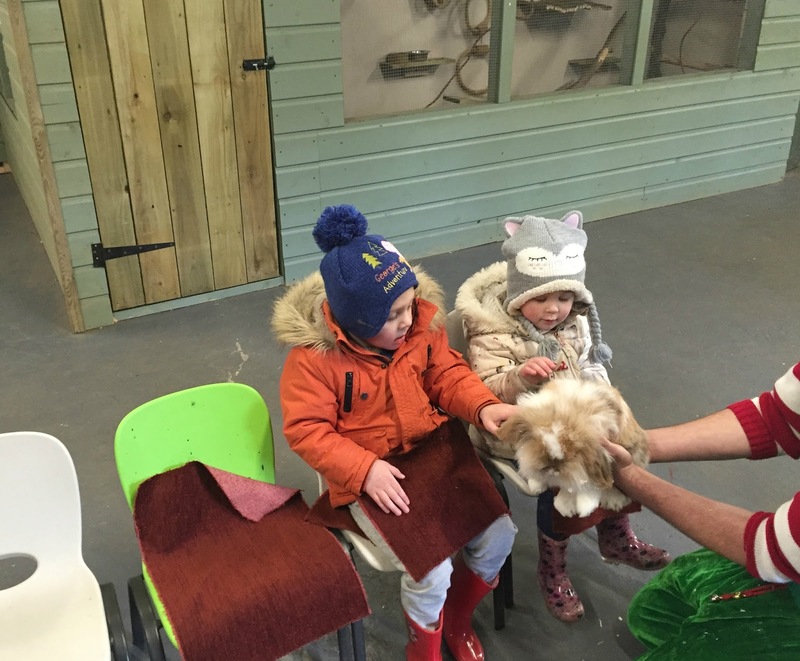 Well, you can do all the normal activities such as seeing the animals and visiting the park and soft-play barn but everything has been giving a festive make-over. 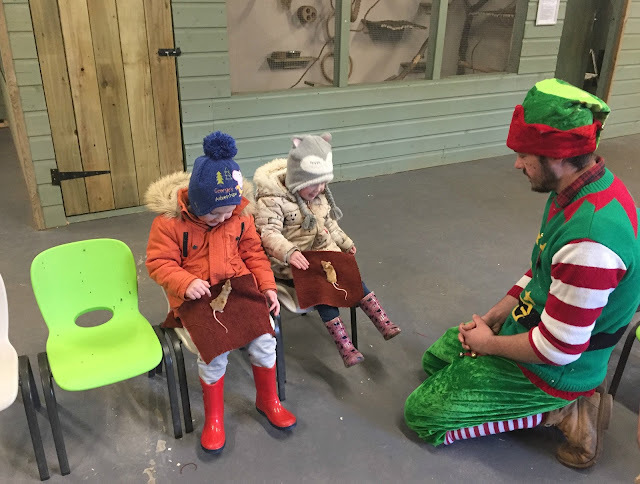 Every member of staff was dressed as elves, they had twinkling lights and Christmas decorations everywhere and the whole farm was full of festive cheer. All the animals are in their festive stables, you can ride on Santa's tractor and trailer which is driven by an elf. You get to walk through Santa's Wonderland and write a letter to Santa, you will even receive a reply before you leave and you get to meet the most realistic and amazing Santa ever! We decided to explore the farm and get some lunch in the cafe and leave visiting Santa until last as a special surprise for the children. We visited the indoor petting barn where the children held mice, rats and rabbits, although they passed on holding a lizard. The Elf animal handler was so friendly and brilliant with the children and really made them feel relaxed - as they were a tad nervous with some of the animals. We spent so much time feeding the goats in their stables as my son loves them so much, you can get little bags of food for them when you enter the farm. It was really wet when we visited so we did not get a chance to visit the park or trampolines on this visit, despite it being wet we still had great fun as a lot of the activities are indoors. We spent a good hour in the soft-play barn whizzing down the slides and jumping in the ball pool. Unfortunately, we missed the tractor rides which were running at set times throughout the day, but we did wave as we seen the elf driving the other children around. We headed to Whitehouse Farm Kitchen Cafe to warm up and get some lunch and it has a great range of hot and cold drinks, food, children's food and cakes. The children went for a children's fish, chip and peas meal which also included a drink, at just £3.95. I had quiche with chips which was only £4.99, the food was tasty and brilliant value, the cafe is well worth a visit. 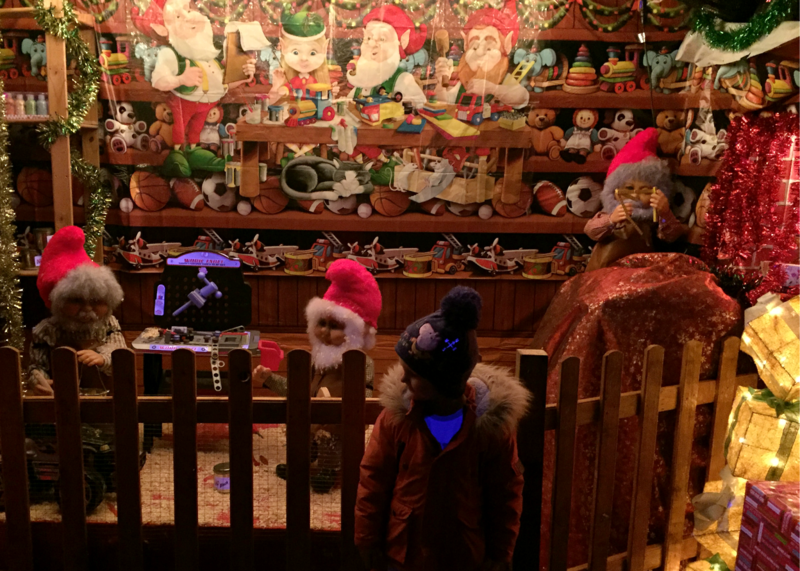 After an action-packed few hours, the children were starting to get tired so we headed to Santa's Winter Wonderland. 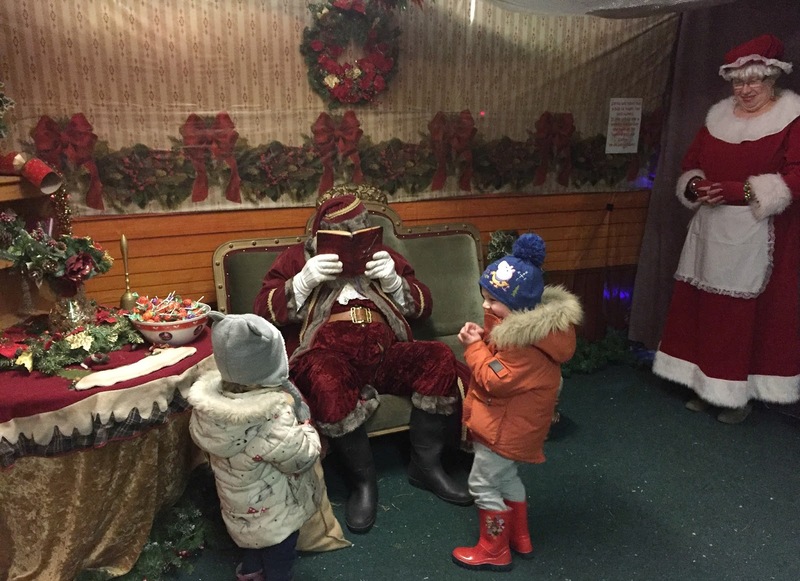 You start your journey from the main shop, on weekdays (Tuesday - Friday) Santa is normally in his Winter Wonderland between 10.30am - 2.30pm (although do check before you visit to avoid disappointment). We visited him just after 2pm and it was quiet so we did not have to queue. Mrs Claus led the children down a very sparkly hallway which was stacked with gifts and had them mesmerised. At the top of the hallway, there was a huge Christmas tree and Santa's huge wooden sleigh which was stacked with presents in the back, which the children got to sit in (very exciting). 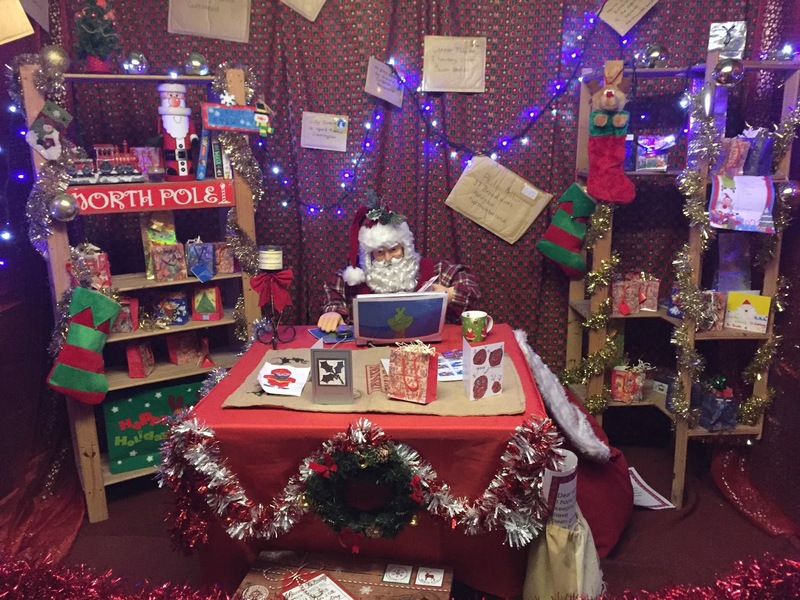 There was a little area with tables and chairs for the children to write a letter to Santa before moving on to the next area which was a North Pole Post Office. The children were able to post their letters to Santa in the special post box. Then we got to see Santa Claus himself, he was sitting in a spacious grotto which was like a cosy living room. He was the best Santa I have ever seen, he was even better than the one in Hamleys! He had a real beard, was wearing a beautiful suit and he was so friendly and lovely. He made the children feel welcome straight away, he had them laughing at his jokes, he told them tales about his reindeers and his magic key and spent ages chatting with them. He really was so very lovely and realistic and if you have not taken your children to see Santa yet then this is the one to go and see, he was brilliant. Visiting Santa is included in your admission price, but you can pay extra for your child to receive a gift from him if you wish (at a cost of £4 per child). We didn't opt to buy a gift this time and the children still received a lollipop each and a bag of magical hay to leave out for the reindeers. 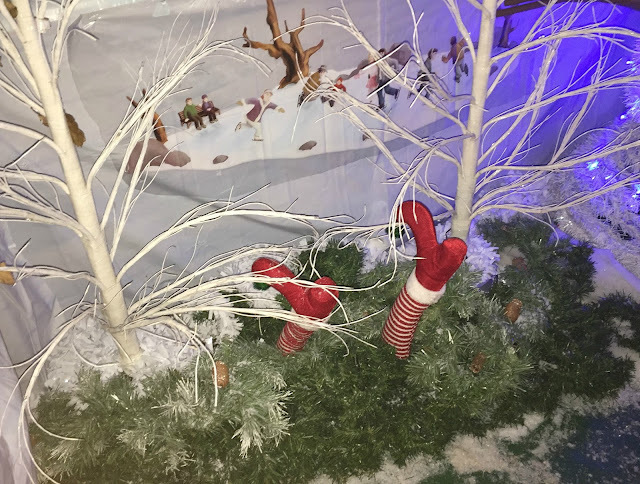 After spending about 10 minutes with Santa we then made our way through the rest of the Winter Wonderland where there were different North Pole scenes to explore. They had lit up reindeers, elves working in the workshop building toys and even Santa's pants drying on the washing line - much to my son's amusement. It really was magical and really well done as everywhere you looked there was something new to see. 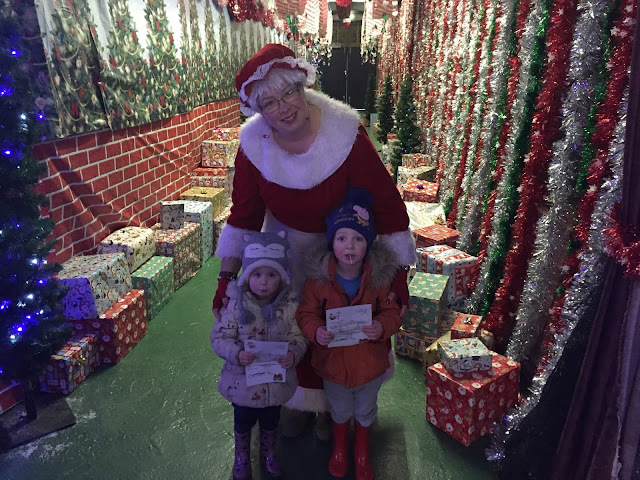 We then made our way back out through the shop and the children were each handed a personalised letter from Mrs Claus. We had such a lovely afternoon at Whitehouse Farm, we could happily have stayed all day as there is so much to see and do even if it is wet and cold. If you visit on a weekend they even have an Elf School on where they have magic shows and biscuit decorating (for a small charge). Sprog on the Tyne blog visited on a weekend and you can see what she thought here. 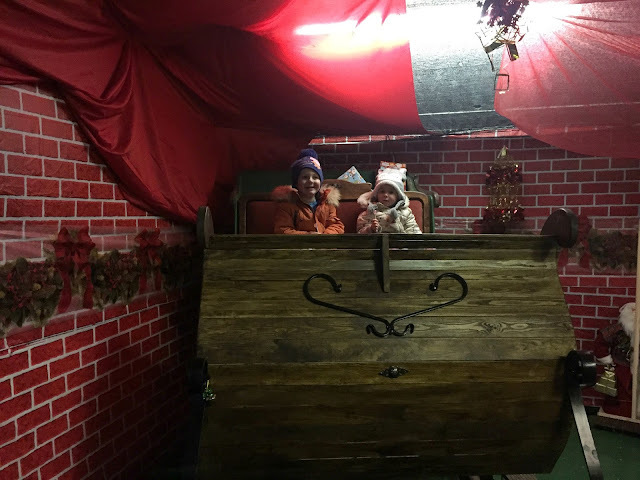 We really enjoyed Whitehouse Farms Santa Winter Wonderland, it was a brilliant festive day out the whole family really will enjoy. The Santa is brilliant and the fact that everything we experienced such as visiting the soft play, Santa and the winter wonderland was included in the admission price makes it brilliant value too. Whitehouse Farm Santa's Winter Wonderland will run until Christmas Eve. 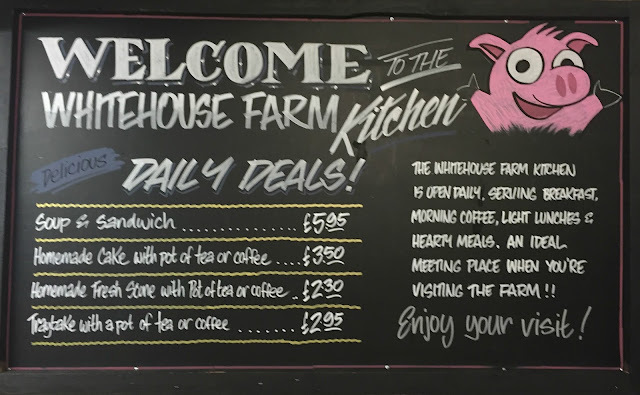 Whitehouse Farm is open Tuesday - Sunday (Closed Mondays) from 10am. 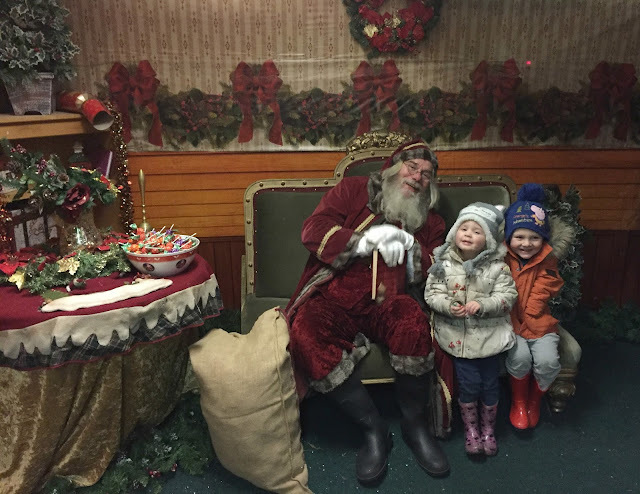 You can pre-book tickets online at www.whitehousefarmcentre.co.uk or you can just turn up and pay on the day and you don't need to pre-book to see Santa. Disclosure I received complimentary entry and lunch for the purpose of this post, however, all opinions are my own. Oh how lovely! It looks like you had a fab day out and the children look so happy! 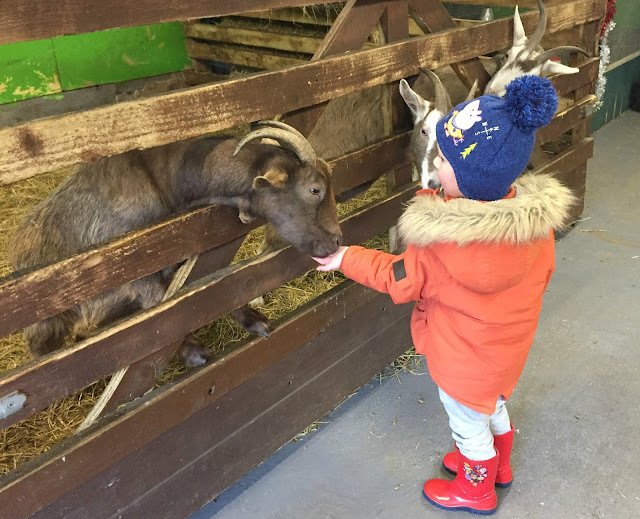 This looks like a lovely festive experience and so lovely to be able to get so up close to the animals! This looks great. I bet you all had a fantastic time. My kids are loving the festive period. It's great that lots of activities are indoors. It'd be cool if you could dress as elves and be Santa's little helper too. Looks like the kids had a lot of fun.